SUNDAY, DECEMBER 17, 2017, 8:00 P.M.
Aldo Aldo Finzi was born in Milan on the 4th of February 1897 into an old Jewish family that originally came from Mantua. The family had a traditional love for music and Finzi’s aunt was a celebrated soprano by the name of Giuseppina Finzi Magrini. After completing his classical studies at the Liceo Parini in Milan, he took a degree in law at the university in Pavia and simultaneously took his diploma in compositions as a private student at the Conservatoire of Santa Cecilia in Rome. Finzi soon gained success and celebrity among the young Italian composers. Among his works are lyrics, music “da camera,” symphonic music and the dramatic work , Shylock (unfinished), which was inspired by the anti-Jewish persecutions. In 1931, Finzi’s published works listed in Ricordi’s catalogue included: Il Chiostro (The Cloister) for female voices and orchestra, the symphonic poems, Cirano de Bergerac, and Inni alla notte (Hymns to the night), a sonata for violin and piano, a quartet for strings, various lyrics like Barque d’or and a comic opera La Serenata al Vento which is based on a libretto written by Veneziani. His most important works include a symphonic poem, L’Infinito (The Infinite), written in 1933, a concerto for piano and orchestra, Interludio (Interlude), written in 1934, and the symphonic poem, Nunquam Sinfonia Romana, of 1937, which has its world premiere on this album. In 1937 the Scala Theatre announced a competition for a new opera to be performed during the following season. Aldo Finzi decided to enter the competition with his work “La Serenata al Vento”. Pick-Mangiagalli, an older colleague to Finzi, was among the jury chosen to judge the compositions entered. Ahead of the official announcement of the winner, Finzi was contacted by his colleague who privately informed him that he had won the competition. However, the official letter from the Jury, expected in the spring of 1938, never arrived. This was naturally of great disappointment to Aldo Finzi. A few months later anti-Jewish sentiment, followed by anti-Jewish laws introduced by the fascist government at the time, began to surface and Finzi realized that the judgement of the examining board, which was made in his favour, had been annulled by the intervention of the government. The official reason given was that none of the works entered were considered worthy of being performed. During the Nazi occupation that followed, Finzi went into hiding, working anonymously or under an assumed name. For example, Finzi’s rhythmic translation to Italian of Béatitudes by Franck, is published under another name. In 1944 he wrote, under his own name, Preludio e fuga per Organo (Prelude and fugue for organ) and to express gratefulness to God for having brought him and his son unscathed through the war, he wrote a Salmo per coro e orchestra (Psalm for chorus and orchestra) in 1944-45. In spite of having “won” the competition and being recognized as a considerable musical talent, the unfortunate timing of the onset of World-War II and Finzi’s early death in 1945 undoubtedly contributes to the fact that the work and profile of Aldo Finzi remains fairly unknown outside Italy. It is our great privilege to rediscover and record Aldo Finzi’s music. The symphonic poem, Nunquam Sinfonia Romana, was performed in public for the very first time by the Ljubljana State Radio Orchestra, conducted by Dmitry Yablonsky, in Portogruaro on the 20 September 2000. L'Associazione “Aldo Finzi Diacronia” é stata costituita nell’anno 1998 con la finalità di divulgare la conoscenza della musica italiana del 1900, favorirne la diffusione l’esecuzione e lo studio. Presidente dell’Associazione é l’Avv. 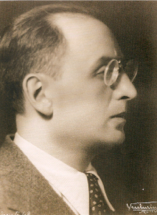 Bruno Finzi, figlio del compositore Aldo Finzi (1897-1945). Il M° Gian Paolo Sanzogno, Socio fondatore insieme al figlio del compositore, è l’eminente esperto musicale dell’Associazione. IBAN: IT19 C035 8901 6000 1057 0373 688 (ALLIANZ BANK). Ogni anno l’Associazione AFD organizza un concerto il cui ricavato viene devoluto a scopi benefici. Potrete rivolgervi all’associazione per prenotarne i biglietti.